If I go here or there I find something or other to refresh my Sorrow and feel that some thing which constituted my Happiness is gone from me … I look round upon my Children, I lament for their Loss. I weep for my own. Theodosia Burr Alston gave birth to a son, Aaron Burr Alston at the Miles Brewton House at 27 King Street, the home of her father-in-law. It was a difficult birth and Theodosia suffered a prolapsed uterus, which rendered her incapable of having further children, and made marital relations with her husband impossible. For the rest of her life she would endure spasms of intense pain. A slave named Peter, sitting on the Charleston wharves, noticed a ship named Sally recently arrived from St. Domingue. The ship was flying a flag with the number “96.” Puzzled, he asked another black man, William Paul, about the flag. Paul, who worked in a grocery store owned by John Paul, told him it was a reference to the 1796 Haitian slave insurrection. Paul then began to talk about the horrific conditions of the slaves in South Carolina. Peter became frightened and fled from Paul. Peter reported the conversation with Paul to a friend, a prosperous free black man named William Penceel and member of the Brown Fellowship Society. Penceel advised Peter to tell his master. Peter’s master, John Prioleau, lived at 50 Meeting Street. Prioleau was a factor and was out of town inspecting plantations so Peter told Prioleau’s wife and young son about the conversation with Paul. They did nothing. 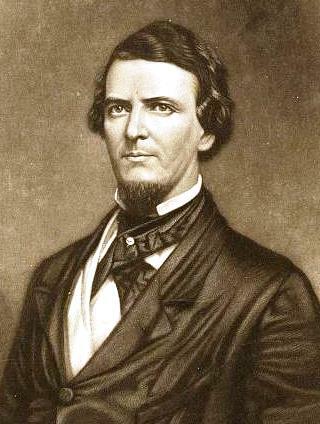 Congressman Preston Brooks (D-SC) beat the hell out of Charles Sumner on the floor of the U.S. Senate in retaliation of Sumner’s verbal attack on Brooks’ uncle, Sen. Andrew Butler. See May 19th entry. 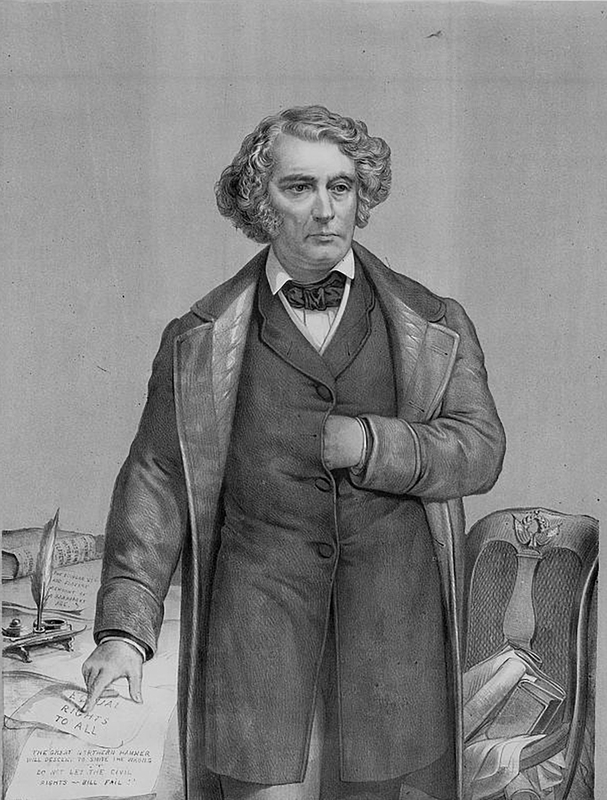 Two days later Brooks strode into the Senate chamber approached Sumner sitting at his desk. As Lawrence Keitt held other senators at bay, Brook said: “Mr. Sumner, I have read your speech twice over carefully. 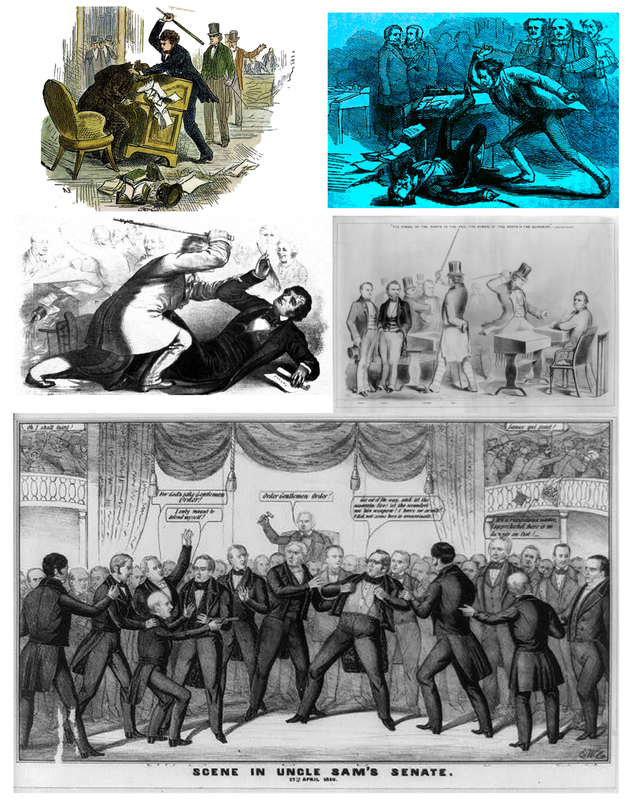 It is a libel on South Carolina, and Mr. Butler, who is a relative of mine.” He then struck him repeatedly with a cane until it broke into five pieces before several men rushed past Keitt and overpowered Brooks. 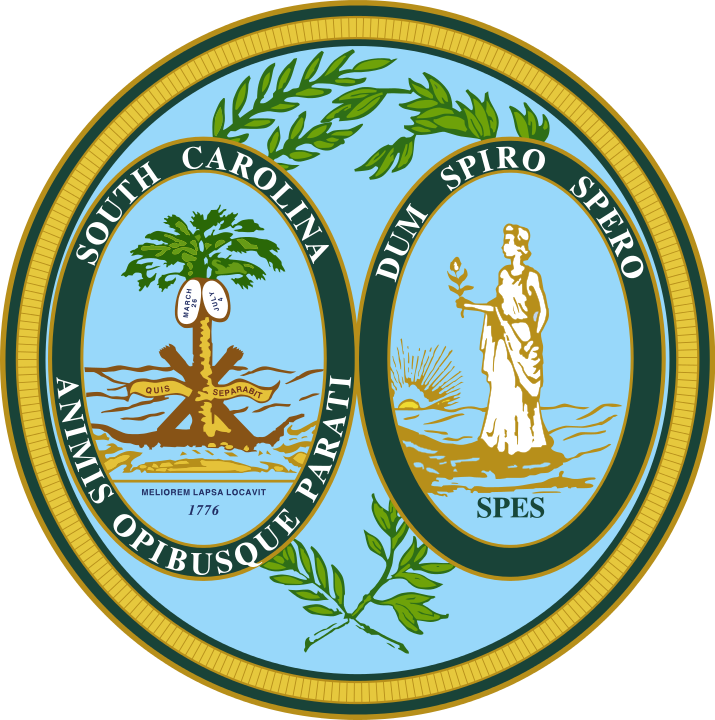 This entry was posted in Today In Charleston History, Today In History, Today In South Carolina History and tagged Charles Sumner, Denmark Vesey rebellion, Preston Brooks, Theodosia Burr Alston. Bookmark the permalink.